The BMW S 1000 RR, most notably the all-new 998 cc in-line four engine now produces 204 bhp and 83 Nm of peak torque. That's an 8 bhp increase over the current model. The new engine is also aided by the new ShiftCam valve train that debuted on the BMW R 1250 GS, at EICMA this year. The new tech brings variable valve timing and valve stroke to the intake side of the valve train. BMW has also revised the geometry of the intake and exhaust ports for optimisation. While the increase in power may seem marginal, the new S 1000 RR is also now 10.6 kg lighter than its predecessor, although now capable of accommodating a litre less of fuel. The engine too is 3 kg lighter than the older in-line four, and brings the overall kerb weight to 197 kg. The 2019 BMW S 1000 RR also gets improvements to the chassis including a lighter frame with the engine used a stress member. 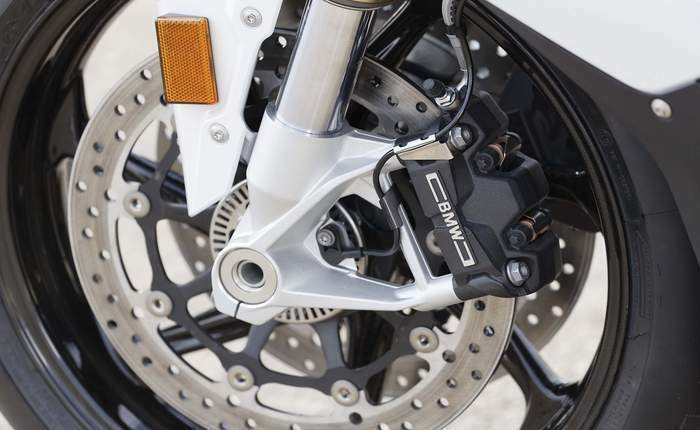 The superbike also comes with what BMW calls 'Full Floater Pro Kinematics' in the rear wheel suspension, which offers increased feel and traction to the rear of the bike. In addition, the S 1000 RR gets semi-active electronically controlled suspension (DDC) available as an option. 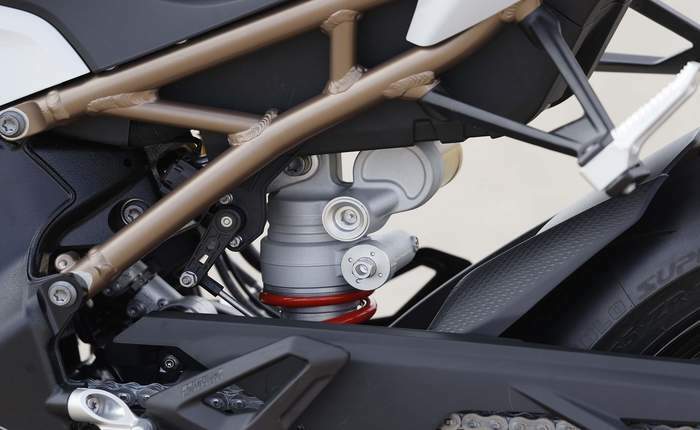 The electronics have also been tweaked on the 2019 BMW S 1000 RR and the bike is now more controllable than ever with a six-axis IMU that brings features like cornering ABS or ABS Pro, and Dynamic Traction Control, both of which are standard. The bike also comes with DTC Wheelie Control, four riding modes - Rain, Road, Dynamic and Race; whereas an optional feature will add three new 'Race Pro' modes that further allow fine-tuning the bike like wheelie control and engine braking. The S 1000 RR now also comes with launch control and pit-lane speed limiter. 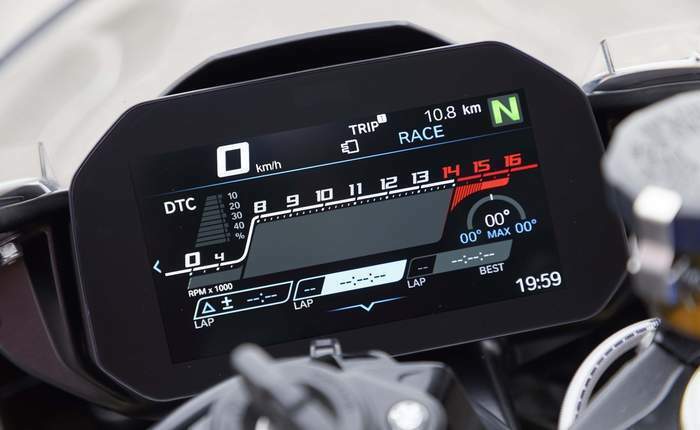 The all-new BMW S 1000 RR also now comes with a 6.5-inch TFT screen for the instrument console, while an up/down quickshifter and cruise control can be added as an option. There are new M packages available too adding carbon fibre wheels, race livery and more, becoming the first BMW motorcycle to get such a treatment. 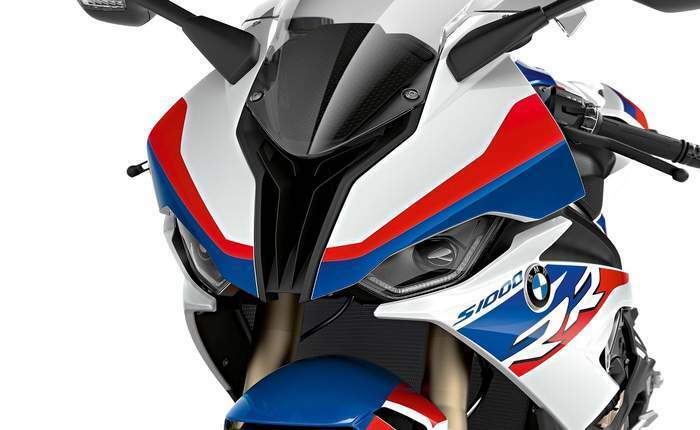 BMW S 1000 RR gets new but rather conventional twin headlamps with projector lens and LED DRLs. The bike looks compact and the fairing gets a cleaner look with simpler lines, whilst retaining the shark fairings. Pricing has not been revealed on the S 1000 RR, but do not expect it to be lesser than the current model. All-new BMW S 1000 RR is expected to debut at the EICMA show in Milan next month. But before that, spy shots of advanced prototypes have already surfaced. Visually, the most apparent change in the 2019 model is in the headlights. The asymmetrical headlight design on the outgoing model, opinion on which is still starkly divided, is gone. A new engine is expected with a counter-rotating crankshaft and new set of electronics. Althea Racing chief Genesio Bevilacqua has confirmed in an interview that the 2019 BMW S 1000 RR is indeed going to be launched.